You are ready to compound your capital and achieve financial security for your future and your family. You might have heard from your friends and colleagues that you need a SGX CDP account and brokerage account before you could buy any shares in the Singapore Stock Exchange. And that you might also be aware that unlike in the old days where stocks were traded through a personal broker by phone, now you can trade manually through an online trading platform. The best part? At a far cheaper cost. But since you have not bought a single stock in your life, you remain rather clueless about how the whole process works. You have come to the right article! Here we will cover all of the above. From opening a brokerage account to choosing the right brokerage firm.So without further ado let’s begin! In order to buy and sell any shares of listed companies, you will need a broker to be your middleman. Your broker will execute buy/sell trades on your behalf and take care of the technical details whenever a trade needs to be made. Thus, you will need to open a brokerage account. We’ll focus on Singapore brokers in this article. A brokerage account is also known to investors as a trading account. There are currently about 12 brokerages in Singapore: CIMB Securities, Citibank, DBS Vickers, FSMOne, KGI Securities, Lim & Tan, Maybank Kim Eng, OCBC Securities, Phillip Securities, RHB Securities and UOB Kay Hian. 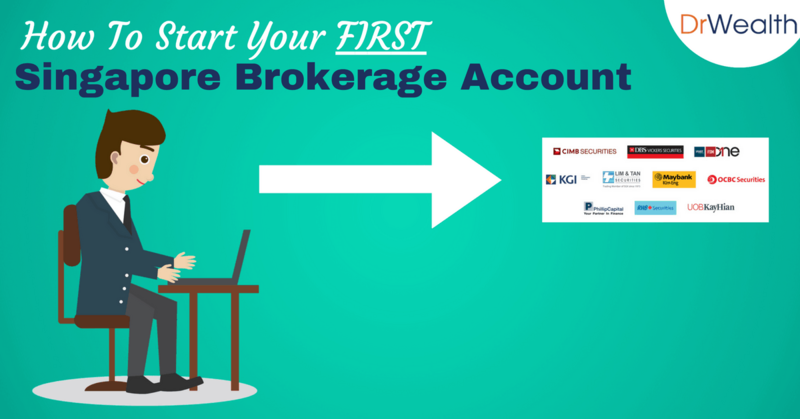 Some of the brokers have made it very easy to get your first brokerage account. As long as you are above 18 years old, you will be able to open a trading account. You can either submit your application online, mail the completed application form or fill them up at the branch. For those of you who want your broker to help you apply for a CDP account, you will probably need to visit the branch. Minors (18-20 years old) are less likely to have a stable income. Hence, brokerages that allow minors to open a trading account usually require account holders to put in a minimum deposit when opening an account. For example, OCBC, DBS Vickers, UOB Kay Hian, Maybank Kim Eng and Phillip Securities are some of the brokerages that allow minors to open a trading account. These accounts are usually limited in the types of products that can be traded as well. To protect retail customers from trading risky assets, Monetary Authority of Singapore (MAS) introduced an online assessment for retail investors known as customer account review (CAR). Retail investors are forbidden from trading Specified Investment Products (SIPs) unless you pass the CAR test. SIPs include either derivatives or products that contain derivatives. If you are really interested in trading SIPs, you will need to pass SGX’s online test. You will need to go through the whole e-learning course and score 18 out of 20. Once you have passed the test, you can inform your broker by sending your test result to them. Your broker will then be able to release the SIPs for trading from your account. Like it or not, you cannot avoid the brokers’ commission fees. Whenever you initiate a trade and it gets executed, your broker will charge a commission fee on EACH of your trade. This means that a complete share transaction (buy and sell) will incur commission fees twice. Most brokers charge a minimum commission fee of $25 or 0.275-0.28% of the total contract amount, whichever is higher. If you were to make a complete share transaction (buy and sell), it will set you back $50 or 0.55-0.56 percent of the total contract amount, whichever is higher. For example, if you were to buy 1000 shares of CapitaLand at $3.00 at the start of 2017 and sold them at $3.78 later, it will cost you $50 ($25 + $25 = $50). Let’s say you bought 10,000 shares of CapitaLand instead, your broker will charge a commission fee of $186.45 ($82.50 + $103.95 = $186.45). While commission fees might not seem to be exorbitant, new investors should always take note of one thing: commission fees will stack up to crazy amount if you make an excessive number of trades. Apart from commission fees, clearing fees (0.0325%) and SGX trading fee (0.0075%) will also be charged by brokers. These fees are standardized across the brokerage industry as they are levied by CDP and SGX respectively. Low Commission Rates: Are They As Good As They Sound? Recently, brokers have been offering lower commission rates of 0.12 percent or a minimum commission fee of $10. As an investor, it is definitely good news for you. However, before you start making trades without the worry of commission fees, you need to understand why these brokers are offering a lower commission rate. Some of the brokers that are offering lower commission rates include Standard Chartered, DBS Vickers, UOB Kayhian, Lim & Tan and Phillip Securities. How To Compare Which Is The ‘Best’ Singapore Broker? The competition within the brokerage industry is intensive. As such, most brokers offer very similar services. That being said, there are still features that can differentiate brokers from each other. For investors that apply technical indicators to make investment decisions, charting tools are important. You will want to ensure that your broker provides a good charting platform for you to make the necessary analysis. 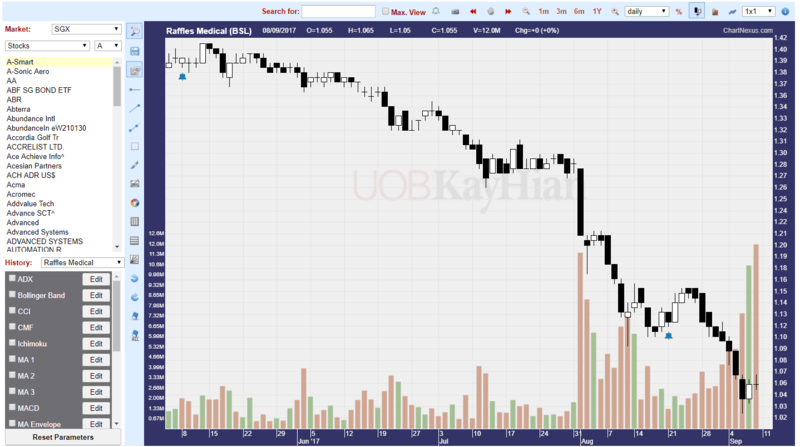 For example, UOB Kay Hian’s trading platform comes with the built-in ChartGenie charting tool. Philip Securities also provides decent charting tool in its POEMS 2.0 platform’s Chart-Live tool. As retail investors, you probably have to attend to your daily job in the day. It is important to be able to make decisions on the go. Thus, it is ideal if the broker provides a mobile trading platform for you to monitor and execute trades from your mobile. This will allow you to monitor your shares without having to locate a laptop just to login via the web browser. While every broker provides mobile trading platforms, the user interface on each trading app is different as well. #3 Do They Provide Investor Education Materials? Another quality feature that brokers provide is the access to investor education materials. For example, OCBC’s Young Investor programme account provides regular e-newsletters to give you a mix of theoretical and practical knowledge about investment. OCBC also teams up with SGX to provide seminars that are catered for you to learn more about the basics of investing. DBS Vickers, CIMB Securities and Phillip Securities also offers similar Young Investor programmes. Learning to invest is a lifelong process. Access to quality research report can be an important source of education for you. By reading quality research reports, you will learn to shape your thinking to that of a seasoned investor’s. You learn to avoid making novice mistakes when making an investment. You also learn to value a company for its business worth, rather than looking at its surface value. From our perspective, DBS Vickers, Maybank Kim Eng, UOB Kay Hian and CIMB Securities belong to the category of brokers that provide valuable quality research report. According to the research conducted by ValuePenguin, SAXO Capital is the best online brokerage in Singapore for a couple of factors. First, they have the lowest minimum commission of $15, which is nearly half as low compared to most local online platforms. Lastly, they offer 36 global markets including global markets like the US, HK and Japan. Hence, you need not worry about the lack of international access. Aside from that their users interface is also known to be intuitive and easy to use. Do check them out if you have not. There are mainly 2 ways that your stock broker earns money from you and it is important that you are aware of it. As mentioned above, when you buy or sell any stocks, the broker charges you a commission for the service of facilitating the transaction. Commission generally cost about S$25 per transaction (a buy or a sell) for Singapore brokers. A round trip of both buy and sell will constitute 2 x S$25 = S$50. This will affect your trading as your winning trade results in lesser profits and your losing trade results in larger losses. For example, if you bought a contract worth S$1,000, the percentage of your cost is 2.5% and you pay S$1,025. Before you even see your profit, you are down 2.5%. If the contract goes up to S$1,100, you profit S$75 instead of S$100. If the contract goes to S$900, your loss becomes S$125 instead of S$100. Another point to note is that you should not invest with an amount that is too small such that the commission becomes quite significant. This is especially so if you are making frequent trades, these costs will add up. If your expected gain is around 5% each time you trade, a 2.5% commission cost will wipe out half of your earnings. In addition to commission, the broker who is a market maker can earn through slippage. Slippage refers to the arbitrage where you buy lower and sell higher while earning the difference. The exchange listed price of ABC company share is S$1.00 but a broker may sell at S$1.05 and buy at S$0.95. The S$1.05 – S$0.95 = S$0.10 becomes the profit for the broker. In other words, you pay S$1.05 per share (or sell S$0.95 per share) when the actual price is S$1.00. The reason for this slippage is to ‘reward’ the risk assumed by the broker being the market maker. We all understand that a transaction will only go through when there is both a buyer and a seller agreeing on a price. However, the market maker may take in buy orders (or sell) without immediately filling the other side of sell orders (or buy). By temporary holding to these orders, they are subjecting themselves to price changes. During high volatility period where prices change rapidly, the spread becomes larger so as to further protect the market maker. In contrast to market makers, there are brokers who provide Direct Market Access (DMA). This means that the price transacted at would be exactly what the exchange reflects. In this way, there will be no spread earned by the DMA brokers. However, the commission charges will be higher. 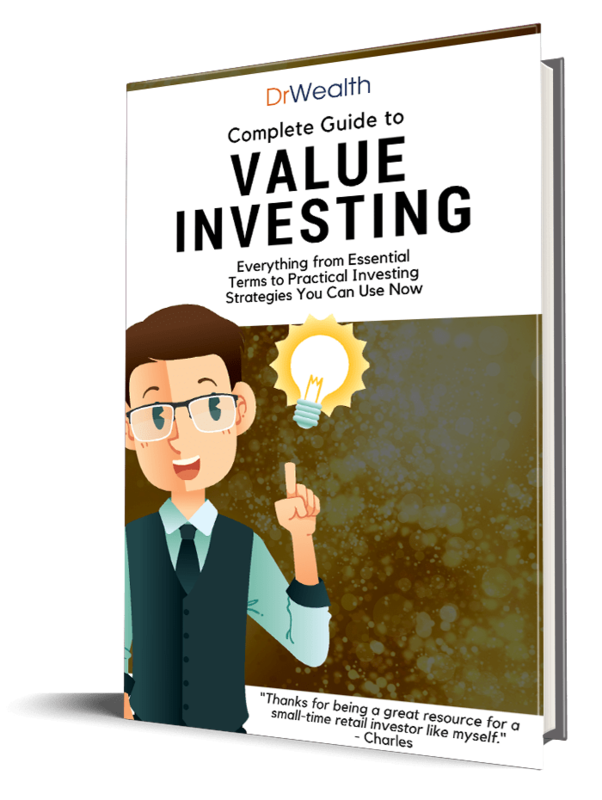 You can see that the cost of investing can be high especially if you trade regularly. As mentioned above, if you trade frequently, your profits are likely to be small. Plus, you will have to watch out for trading costs, such that they do not erode your earnings in the long run. We hope you now have a better understanding about what a brokerage account is and how you can start your first account. And also the factors to look out for when choosing the brokerage platforms. BONUS TIP: Since there are usually no set-up fees involved, you might want to create multiple brokerage accounts across different brokers, to test out various interfaces and features. If you find this article useful do help us to share the information! Just to clarify for FSMOne, there is no platform charges for stocks? Good stuff. Would be nice if you could do one for opening account in Malaysia for locals who wants to trade Bursa shares. Could not find much information online and dealing with the banks directly takes longgggg time…….Thanks.